Terry Pratchett is God. 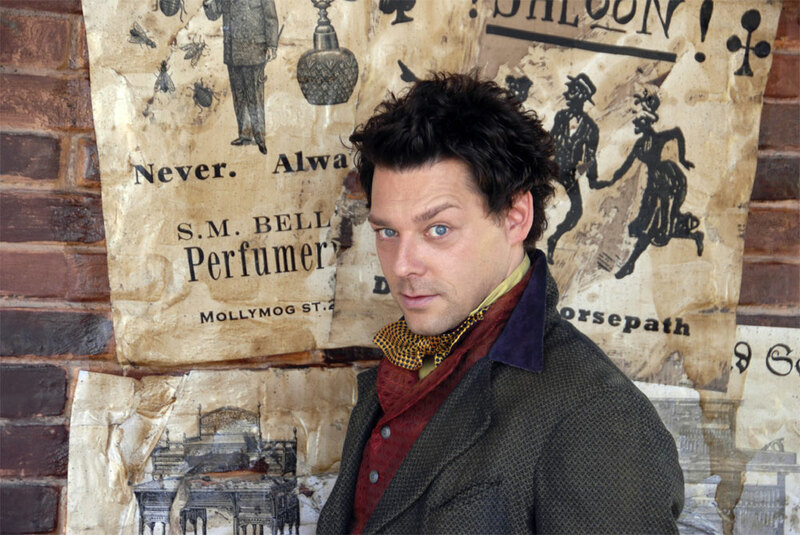 Or perhaps he is Moist von Lipwig. What a name. Seriously! Pratchett has a way with names that I have never seen outdone. 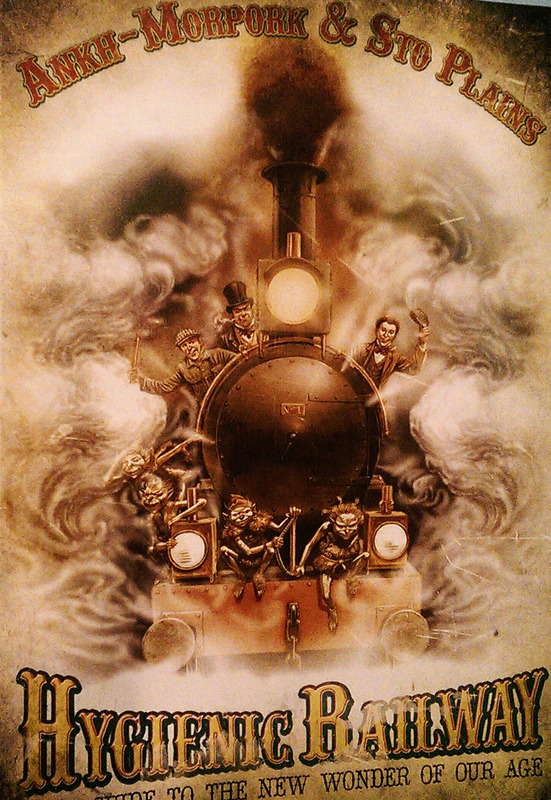 I loved Raising Steam. Goblins are my new favorite race. These people keep on knocking over the expectations of other races time and again. Their freedom from being eaten, chased, beaten and downtrodden (at least in theory) has led to them outdoing many of their old masters. 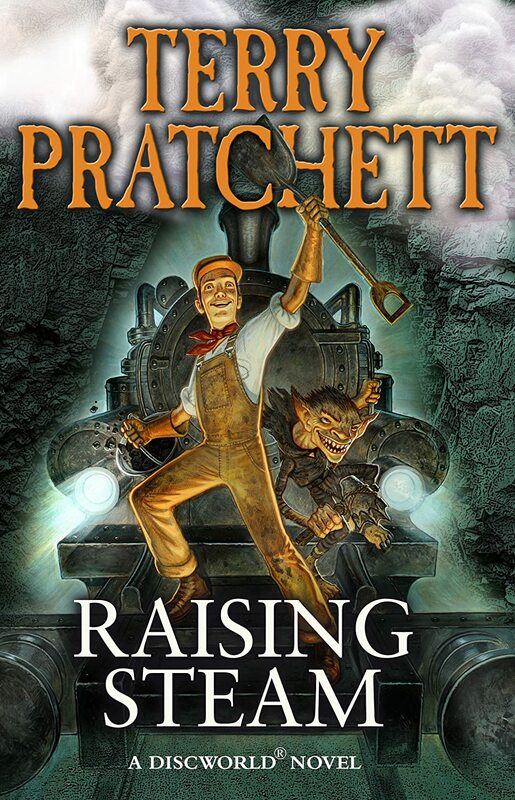 Perhaps this is the main reason Pratchett has caught my heart. He isn’t afraid to address problems in society, and he does it in a manner that helps me see them in a new light. Moist von Lipwig is an excellent conduit for that message. He races through the story having to face himself ever so many times. Facing myself is not my favorite pastime but it is one that I try to make time for daily. One of the advantages of limited mobility is that I can no longer run from whatever parts of me I might wish to run from. Moist tries but Mister Of the Twilight the Darkness keeps him on track. In Raising Steam those tracks are technology and the steam engine. 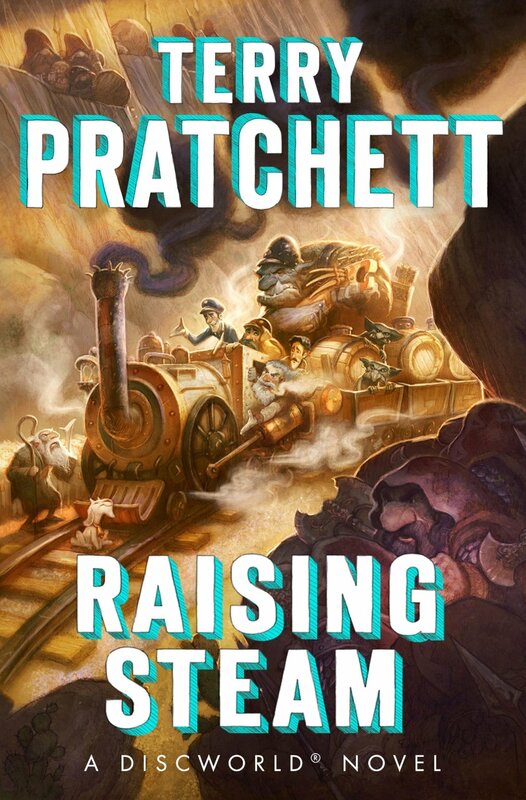 But I guess like so many of Mr. Pratchett stories, Raising Steam is about our fears. Facing our fears. In this case our fears take the shape of racism, fear of technology, fundamentalism and basically fear of any person or thing that is not within our scope of experience. We are all frightened little shites trying to muddle our way throughout life without realizing that all of the others around us are also frightened little shites. For this reason I truly love Pratchett. He shows us our fears, and our fears are many. What we need is a Vimes who asks us difficult questions and at the same time helps us realize that we are dumber than bread in persisting in our fears. Like von Lipwig, Pratchett is my enabler. He helps me see what needs to be faced and leaves me feeling graced by his presence. No wonder he is my god. 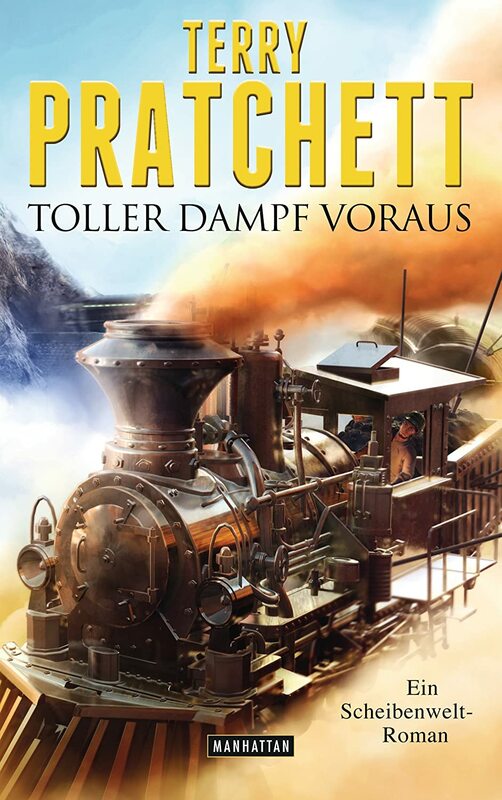 I love everything Pratchett! I haven’t had a chance to read this book yet, but it sounds so good! 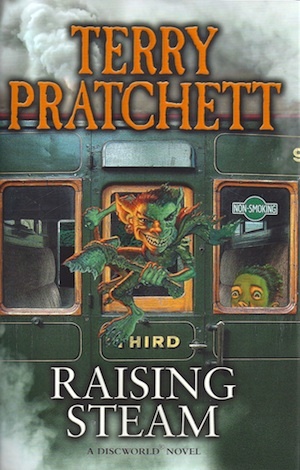 I don’t think any of the books have featured goblins much, so that’s good. (It’s about time for a reread, again) I’m glad you enjoyed this book! These are the goblins from “Snuff”. Except now they have been emancipated. Pratchett is magical.